Adjunct Professor, Monash University, Design and Health Collaboration. 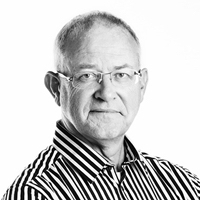 Murray started his professional design career in 1977 with Conran Associates in London after graduating in Product Design in South Australia. From 1980 to 2011 he managed design programs at Philips Design, eventually serving as Vice President and Global Head of Operations at Philips Design. From 2006-2009 he also served as an adjunct professor in the School of Design at Hong Kong’s Polytechnic University, and From 2012 to 2017, Murray landed in Seattle, as Vice President of TEAGUE Aviation Studios to guide the company’s long-standing design relationship with The Boeing Company. In 2018, Murray accepted a role at Monash University as Adjunct Professor, Design and Health Collaboration, Faculty of Art, Design & Architecture.